These easy-to-make planters come together with a only handful of ingredients and a few weeks to cure. What’s even better than making your own concrete planter? 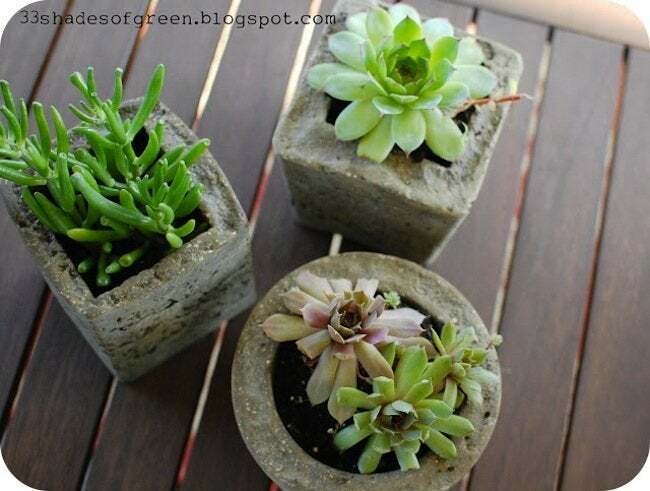 How about trying your hand at a hypertufa planter? If you’ve never heard of hypertufa, it’s a manmade rock that’s great for growing plants. 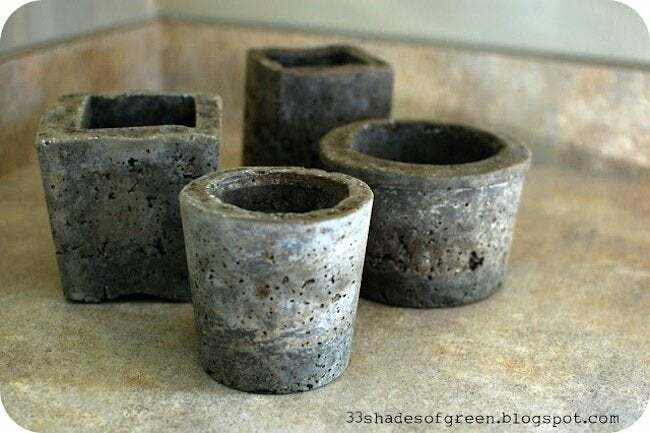 When we saw these DIY hypertufa planters by Alissa at 33 Shades of Green, we had to include her in our newest Bob Vila Thumbs Up competition. Read on to see how she did it. Gather your supplies. The perlite, portland cement, and peat moss are all readily available at a home improvement store. Make sure that you use real portland cement and not a quick-set material. Also, you want to use peat moss that is finely ground and not in large pieces. In order to make your mold you will need to nest two containers together. Both should have sides that are straight or taper out and make sure that there is a gap of at least 3/4-inch between them. 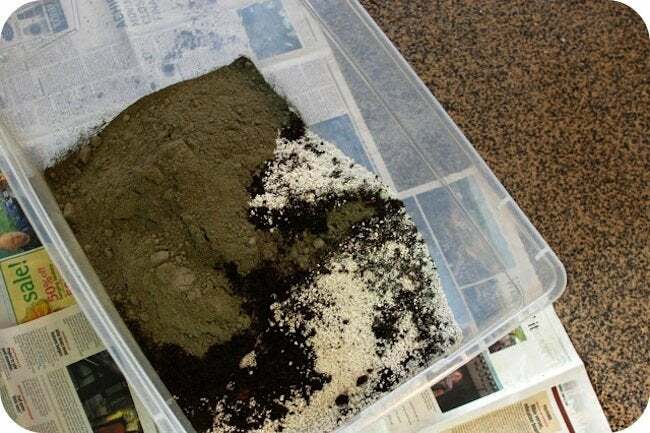 Mix together equal parts perlite, peat moss and portland cement in a large container. The amount you use of each does not matter as long as they are equal parts. I used 2 quarts of each. A wheelbarrow would be great to use for mixing, but I don’t have one so I used an old rubbermaid container. Make sure you wear gloves! Slowly begin to add water and mix until mixture is the consistency of cottage cheese. Coat containers with mold release spray. Pour mixture into the outer mold until it is an inch thick. Add the inner container and start adding mixture around all the sides. You can fill the inner mold with sand or water to steady it. Pack mixture in tightly. 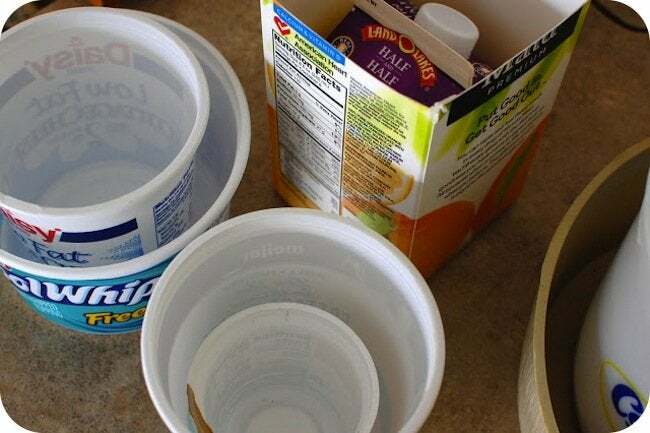 Cover the containers with plastic. After 24 hours remove the inner mold. Replace plastic. After 36 hours remove outer mold. After removing molds, you can drill holes using a masonry bit in the bottom of the container for drainage. Also, use a planer file or sand paper to smooth out any rough edges. 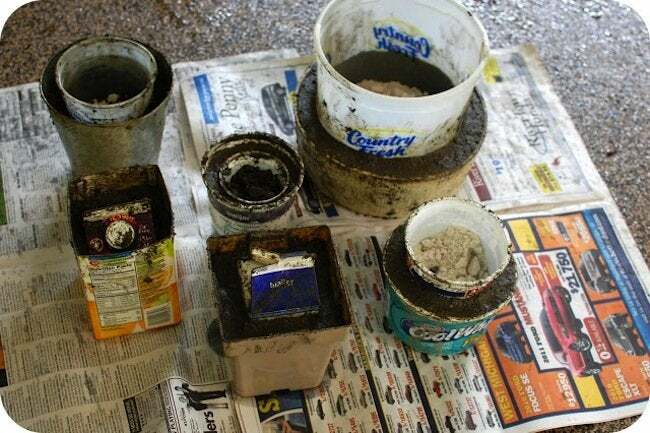 Recover containers with plastic and let sit for several weeks in order to finish curing. Thanks for sharing, Alissa! 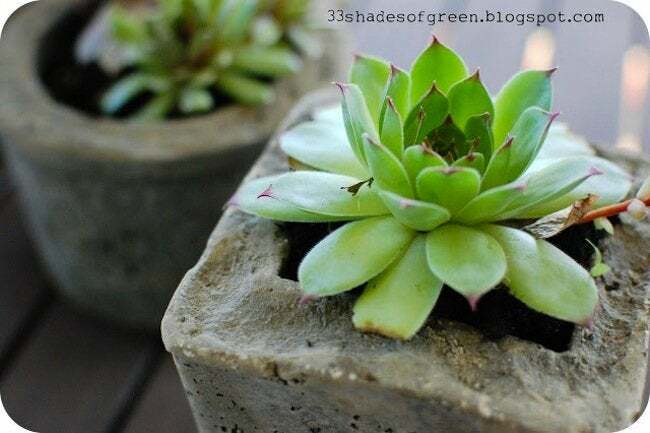 For even more DIY tutorials, be sure to check out 33 Shades of Green.